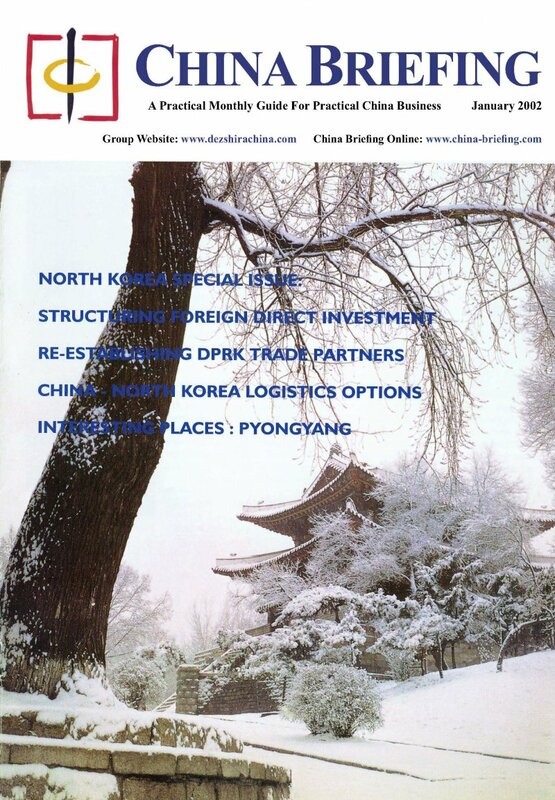 This special North Korean issue of China Briefing from 2002 provides a detailed business and investment overview about the country. This special North Korean issue of China Briefing from 2002 provides a detailed business and investment overview about the country. North Korea is right on China’s doorstep and shows signs of opening up to foreign investment, and China’s savvy foreign business investors may well want to consider a new opportunity on the porch. We are pleased to present this archived issue of China Briefing.